Looking for an exciting venue for your group? There’s something for everyone at the biggest and best football museum in the world! We have an amazing building which is completely accessible and we welcome all groups, big and small. If you’re a bunch of football fanatics you’ll feel right at home, discovering incredible objects and sharing your football memories; if you’re not, then we’re sure you’ll still enjoy exploring this wonderful space and discovering the hidden stories behind the world’s most popular sport. Why not combine your visit to the museum with a ground tour at one of the city’s famous football clubs? Or, as we’re right in the city centre, check out one of the other great attractions nearby or enjoy the wide variety of shops – Harvey Nichols, Selfridges and the Arndale Centre are all just two minutes walk away. If you’re a teacher and want to bring a group along for one of our new learning sessions then visit our Learning pages. For schools looking for an affordable way to travel within Greater Manchester, children can travel for just one pound on Metrolink and the tram stop is just one minute’s walk from the museum! If you’re planning on visiting the museum with a group of 10 or more people please contact us on 0161 871 8176 or groups@nationalfootballmuseum.com to discuss your visit. We’re happy to work with you to ensure your visit goes smoothly and to plan. Six of our seven interactive games are included in the price of admission. Test your reflexes with Shot Stopper, hone your range with Pass Master and get behind the mic in the Match of the Day Commentary Challenge! Fancy your chances from twelve yards? Make your visit extra special on our Penalty Shootout challenge, and see if you can beat our virtual ‘keeper between the old Wembley posts. This interactive experience costs £2 for every three penalties taken. 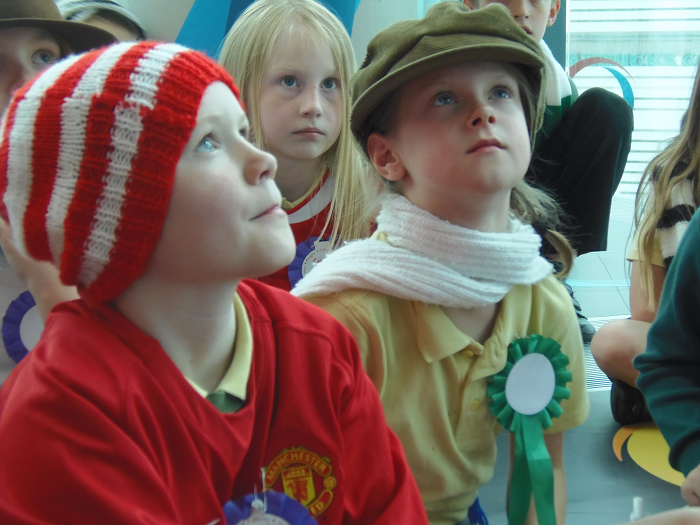 Email groups@nationalfootballmuseum.com for more information or to book a group visit. Take a closer look at the history of football and discover the stories behind our amazing objects including the 1966 World Cup Ball and the first ever England international shirt. Guided tours are available daily at 11am & 3pm – tickets can be purchased at the museum or in advance via Eventbrite. Booking is advised for groups of 10 or more – email groups@nationalfootballmuseum.com or call 0161 871 8176 to find out more. Cafe Football offer two fantastic birthday party pages – the Championship at £20pp and the Premiership package at £27pp. Please use contact details above to book. Make your visit complete with a bite to eat at Cafe Football NFM, where visitors can enjoy a fun, relaxed dining experience influenced by the spirit of the game. There is a coach drop off point outside the museum on Corporation Street (opposite the Printworks and the Co-op).